What is international email marketing? Email marketing is the number one way to communicate with your prospects and customers. It’s personal, it’s relevant and timely. It’s also the best performing marketing channel in terms of return in investment (ROI). But, if you’re an international company with offices across the globe, how do you get the same message out to several markets, without losing the essence of what you’re trying to communicate? This is what we call international email marketing. And this is a challenge that many companies face when they look to expand and achieve international growth. But, instead of localizing email campaigns, they send the same email to all. Have you ever received a marketing email in a language you don’t understand? Or perhaps you understood the language, but the email just wasn’t relevant to where you live? I have. And do you know what I do with those emails? It’s not the email sender’s fault. Many companies just don’t follow best practices for international email marketing. They don’t ‘localize’ their emails and they lose sales as a result. A study by LISA (Localization Industry Standards Association) found that for every $1 spent on localization, the return on investment (ROI) is $25! With that kind of marketing ROI, it’s clear that implementing a successful international email marketing campaign will help you communicate better with your customers and sell more of your products or services. But not all organizations are ready to go international. And adoption rates are slow. Currently, only 15% of organizations prioritize international email marketing. That’s right, the vast majority are yet to formalize an email marketing strategy for optimizing their international email campaigns. According to Marketing Sherpa, 58% of small businesses do not localize email content for international audiences. They are actually sending international emails, yet it’s one-size-fits-all for everybody. And it’s not just SMBs that aren’t localizing email content, as 21% of large corporations making the same email marketing mistake! If a subscriber receives an email in a language they don’t understand, the chances are they will not click on the email. In fact, you might as well not send it at all. And when we look at the biggest obstacle to email marketing success, it’s low-click through rates that lead the way. 53% say it’s a problem according to a survey of 300 B2B marketers’ by Ascend2. Localizing email campaigns not only improves email open rates and click-through rates, but also presents an opportunity to increase sales. What are the benefits of thinking globally? The constant shift of exchange rates between major currencies can make your products and services more attractive to overseas buyers. Wouldn’t you be interested if a product suddenly became 30% cheaper due to that day’s exchange rate? Building an international customer base can help protect your business from local economic slumps. For example, a British company that operates in Euros will be less concerned about the impact to the British Pound following the Brexit vote. You can enter a new market at a reasonably low cost by localizing your content. Start by checking your website statistics and email subscribers to see the fastest growing country demographic. Then, localize your content and email campaigns. If the demand is there and sales start to grow, it could be a good indicator to officially enter the market. But how do you get started with international email marketing? In this definitive guide, we’re going to go over the 8 most important factors to implement a successful international email marketing strategy. Native speakers have unique knowledge. There’s a huge difference between hiring a native speaker over someone who learned the language from a text book. In addition, native speakers know the subtle differences as to where dialects are used and this helps prevent your translated message appearing a little “off” (the UK, for example, is home to more than 50 dialects). Look for experience: The cost of translation is much cheaper now, but it’s more important to find a quality translator. If possible find someone who has experience in translating content in your industry. For example, people familiar with CRM know that it stands for Customer Relationship Management, and that for the most part, is not localized. Ask for sample translations: Before sending over your campaign copy, ask for a sample and get it checked by a third party or a native speaker if you can. You will have to pay for a sample, but it’s worth it if it saves you from hiring a translator who is not up to the task. Avoid using multiple translators: An email campaign is not just email copy. The entire email campaign includes follow up emails and landing page copy. If possible, use the same translator in order to keep the campaign consistent across all touch points. Allow time for last minute changes: There will always be last minute translations required. Once you upload the copy into your email marketing software, you get to see how the final email will be received. It’s at this stage where you can assess how the copy fits within your email design. Sometimes the text length is too long or too short and needs changing. When localizing content, It’s important to work with native speakers from each country you’re targeting (or at least have extensive experience in living there). It’s not enough if their country simply uses the same language. This is because you have to account for the differences in local dialects, spelling and email format. For example, French is spoken in France, Belgium, Switzerland and Canada, although each country uses different words and greetings. Another example is English, which needs to be localized for the UK and United States. Although both countries communicate in English, there are a lot of differences – especially when it comes to “S” and “Z” in words such “organise” (UK) and “organize” (US). Then there’s other countries that use English differently again. Perhaps you want a call to action like ‘buy now’ at the end of your email. Well, if you are targeting South Africans then you should know that ‘now’ actually means ‘later’ in South African English! It’s these kind of local language specifics that, when done wrong, can damage your brand’s local reputation. The translation of email content isn’t enough for a localized email campaign. One of most important considerations for any email campaign is culture, as culture affects engagement and purchasing decisions. For each country you communicate with, your email campaigns should be different. In order to avoid upsetting recipients with a cultural faux pax, use Professor Geert Hofstede’s six dimensions of national culture. Use “we” instead of “I” in your terminology if you are targeting Russia, India or Japan as these countries prefer groups over individuals. You can use “I” when targeting the US or France. Support any facts with evidence, whether through social proofing or third party reviews, for email campaigns targeting Norway or the UK. Be consistent in your terminology and use clear language when you send email campaigns to Germany or Belgium. People in these countries proceed with careful step by step planning and are more cautious. Make your email copy fun and engaging if you are targeting Swedes or Australians as both of these countries are more relaxed and more playful. Pay close attention to these cultural differences as you may have change the tone of your email copy, or in some cases, the entire email campaign, in order to drive engagement. Localizing your email campaigns also means that you should localize the images for each target market. While this might sound tedious, using the wrong image can really damage your brand! 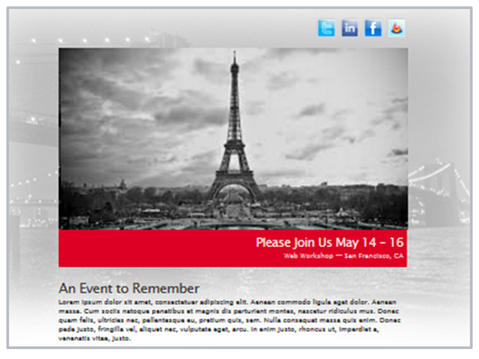 For example, using a stock photo of a city could seem harmless if you’re sending out an invite for a local event. But what if the event you are holding is based in Oslo, yet the stock photo is of Paris? If your recipients are based in Norway, but all they see is an image of the Eiffel Tower in Paris, they are unlikely to read more and sign up to your event. Another example is when using real people. Adding an image of a Swedish male for a campaign targeting Norway seems fine, but not for a Norwegian. Norwegians and Swedes can tell the difference based on their appearance and clothing. Humans process images 60,000 times faster than words. Choosing the right image in your email campaigns is crucial to your campaigns success! The number of mobile devices and mobile users is growing at a rapid pace. According to Statista, more than 2 billion people worldwide own a smartphone. That’s more than 25% of the global population. And by 2019, the number of mobile phone users is expected to reach more than 5 billion! But not all countries are adopting mobile devices at the same rate. For example, a survey by Pew Spring 2015 Global Attitudes found that South Korea, Australia, Germany and the UK all feature in the top 10 for the highest mobile penetration in 2015. While the results from this study are helpful, it’s important to note that the users behind these numbers may not be your target audience. For example, responsive email templates should be used to create a better user experience for B2C and eCommerce sites, while not all B2B email marketing campaigns need to be optimized – as the likelihood of purchasing a CRM system “on the go” is unlikely. To determine whether or not responsive email templates are required for your business, you will need to look at your own data. When you send an email is not only a regional question, but a national question too. To begin with, the local time zone needs to be taken into account. While the time difference between the UK and Norway might not be too different, the difference between the UK and the West coast of the US is an entire work day (8 hours!). Another factor to consider is days of the week people work. In the Middle East, a normal work week is Sunday to Thursday whereas in Europe, we work Monday to Friday. Each country also has different national holidays or vacation periods. Most Norwegians take 3 weeks’ vacation in July, whereas in Germany, the summer vacations start later, in August. Get these send times wrong and your email open rate will be extremely low. There are some standard email practices, which have their own unique challenges once they are localized. Email copy: When you localize content into other languages, the length of your copy may change. For example, if you use a narrow email template, localizing the word “Free Trial” from English into German (“Mit Testversion starten”) could impact the overall design. Another example is if you localize from English to Chinese, which is read from top to bottom. Also, some languages like Arabic and Hebrew are read right-to-left. To avoid these problems, you need to include flexible text areas. Image copy: If you include images within your email, any copy written on the image will need to be localized, and then saved and uploaded to each email template for each country you use the image in. This can be time consuming. You can avoid this by only using images without copy. Call to action: Almost all email programs, such as Gmail and Yahoo, allow recipients to disable images. Some even disable images automatically, like Outlook. This means that if your call to action button is an image then it will become invisible if disabled. To make sure your call to action button is always visible, use “bulletproof buttons”. Bulletproof buttons allow you to build your call to action with code (HTML or CSS) instead of images (JPEGs or PNGs). This way, if an email program blocks your images, the recipient can still see your button and take action. The biggest issue from an international email marketing perspective is being compliant with the email regulations of difference countries. For the most part, you cannot send direct marketing emails to individuals without prior consent. For example, a subscriber opting-in to receive newsletters from you counts as prior consent. However, while the specific laws for each EU country varies, this has changed since GDPR was enforced in May 2018. Any promotional email sent to countries within the EU must include an opt-out option, usually in the form of an unsubscribe link within the email campaign. This means that if the recipient wants to opt-out, they will be taken off your email list. Any further emails sent to them after they have opted-out are classified as unsolicited email. And sending unsolicited emails comes with a risk. In the UK, the Information Commissioner’s Office is responsible for handling complaints made for unsolicited emails. Breaching these anti-spam laws is not to be taken lightly. It is considered a criminal offense and subject to a fine of up to £500,000! The number of non-native English speakers using the Internet continues to increase. By sending international email campaigns, you increase the size of your audience and communicate with people in their own language. And who doesn’t appreciate that? Just remember to use native speakers to translate your content, understand that local culture will impact the design and copy of your email, and above all, comply with EU email marketing laws! If you do this, then you’re well on your way to growing your business through international email marketing! Do you localize your email campaigns? What international email marketing tips do you have that you want to share? A company can get higher efficiency if it does international email marketing. Therefore knowing your international audience is good in order to serve your emailing accordingly. These campaigns could be only effective when they reach to the subscribers' inboxes. The things you need to understand are the unique requirements of your subscribers in every country and building campaigns that serve their needs with local laws and regulations. 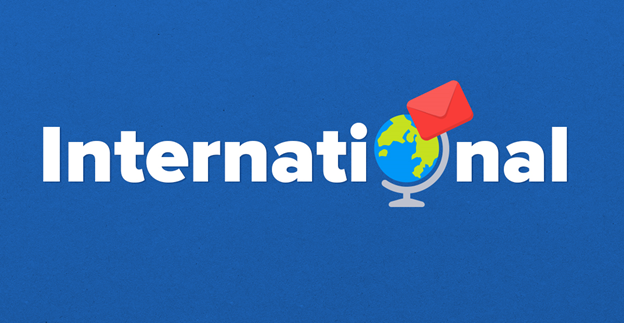 Nice guide on international email marketing. I am also in marketing department so this blog is very helpful me. Thank you so much for sharing best information. Very useful tips! As a good understanding of intercultural differences applies to all international marketing, data compliance laws are definitely a point that we tend to forget of - but that's absolutely key in email marketing. Thanks for the post on international email marketing. Thanks for the useful tips on email marketing! Pretty comprehensive list, Steven. I have not seen a quote from LISA in years since they've been out of operation! Was a good flash back though! One common faux-pas we often see is the use of first names while addressing professionals overseas where most like to be addressed with much more respect using their titles and last names. Look forward to seeing more on international marketing strategies. That's a great comment, James! For example, in Germany, email copy is much more formal, especially when it comes to how you address the recipient.